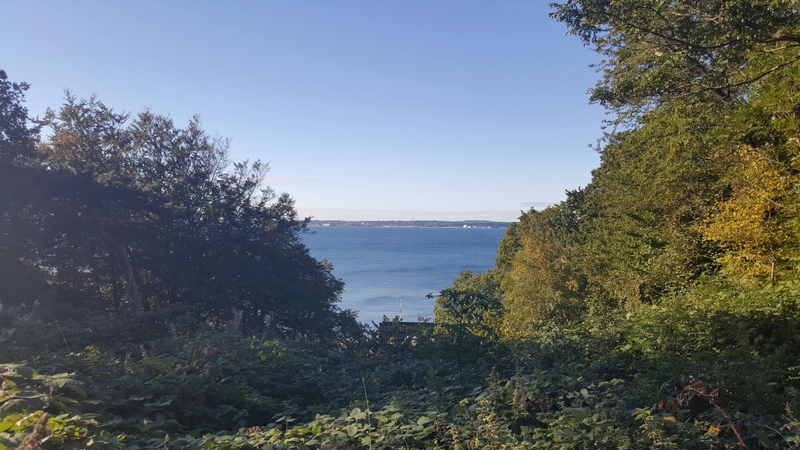 So I spent my last weekend in beautiful Helsingborg with Maddie’s family. I really love taking trips up to Helsingborg, not purely down to family being there, but for the city itself. For anyone that doesn’t know, Helsingborg is coastal city directly opposite Helsingør, Denmark. It blends city life, coastal life and rural life. And that’s what I really love about it. One of the things that I got up to this past weekend whilst in Helsingborg was a trip to an apple farm called ‘Kullabygdens Musteri’ who were having some kind of special event. Apple picking seems to be a staple autumn (or “höst”) activity in Sweden so why not get involved? On arrival, I noticed a number of people carrying what looked to be boxes of wine. However, when I asked what it was I was told that it was just “äpplemust” or “äppelmust”. Now this was the second time in a couple of days that I had heard the word “must” without really understanding what it was. I had recently seen a relative drinking “julmust” (which is typically a christmas soft drink) at a dinner, so I was keen to understand what “must” was. Now I was already familiar that squash was “saft”, juice was “juice”, and there’s also another drink quite similar to smoothies in consistency called “soppa” meaning soup (E.g. nyponsoppa). However, “must” was new to me. Now I could have simply Googled the answer, but where’s the fun in that. Sometimes it’s better to explore things the old fashioned way. So on entry I was greeted with the smell of smoke*, piles and piles of boxed glass bottles (the äpplemust), along with numerous amounts of apples and a local band adding to the autumn feeling (See top image). The warehouse was decorate with local festive art, hay bales and of course apples, in plenty of forms. One of which was a great chandelier, below. And here is where I found my answer. What is “must”? It’s simply 100% pressed juice from fruit or berries. No sugar or sweetener, no water and no preservatives. Just not yet fermented juice. And it’s delicious! The äpplemust was a little similar to an English cider in taste, sweet with a little bit of bitterness, just like an apple should be. To make one bottle of äpplemust it would take 1.5kg of fresh apples. So I was pleasantly surprised to see how cheap a box was and more than happy to grab one. We also bought a box of apple and lingon (of course) glögg, a drink similar to mulled wine. Perfect for the late autumn/winter period to keep you warm. I was surprised to find that you could pay by card considering we were in a farm’s barn/warehouse, but this is Sweden, the cashless country after all. So that’s how I learnt about that delicious drink known as “äpplemust”. Have you tried it? What’s your opinion and is there anything that I should know? And if you’re from outside of Sweden, have you heard of it or have anything similar? I’m interested in hearing everything that you have to add so comment below and let me know. And you can read more about my life in Lund here. *This came from a mobile smoking vendor at the event called “Holy Smoke BBQ“. 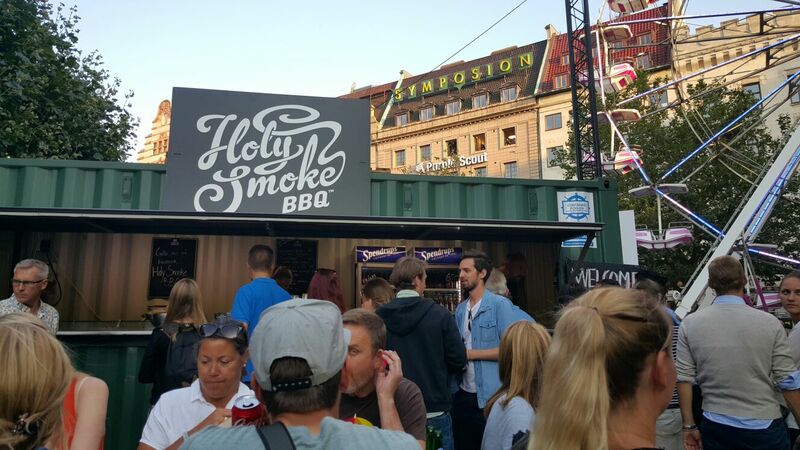 Now this wasn’t the first time I had came across Holy Smoke, previously meeting them at the Malmö festival, and their food. I don’t have any pictures but if you ever have the opportunity to grab a bite from them, do it. Amazing smoked meat burgers, pulled pork and brisket, with an abundance of delicious salad. Really good. Shout out to them. Thanks for your post. Must is the best! I’ve lived in skåne myself a while now and I love all the food and drink markets, festivals and the like. The “mat och vin mässa” (food and wine fair) in Malmö and the “skånes matfestival” in Brösarp (in the heart of east scanian apple countrly aka Österlen) both have so much good local food, and tasty must! Really appreciate the kind comment and suggestions. Will look them up.